Vouchery Founder & CEO Ewelina Robaczek: Can Discounting Drive Growth? The use of discounting and vouchers is a contentious issue, as some feel that it encourages the wrong types of customers – the presumption being that the gains you make in attracting more customers are counterbalanced by shorter lifetime usage. However, recent research conducted by Vouchery – a leading provider of behavioral coupon management and automation software – indicates that this doesn’t have to be the case. Vouchery has found that timely, targeted discount campaigns can increase revenue and lifetime values of customers. And if effectively implemented, a discount strategy can equally drive business growth. To look into the true value of discounting strategy, we have enlisted the expertise of Ewelina Robaczek, Founder and CEO of Vouchery. The company helps Marketing teams to optimise their promotional strategy for customer engagement, at the same time preventing coupon fraud. “Ultimately, the mission is to incentivise each customer the right way, maximising the long-term ROI of each promotion,” Ewelina says. The obvious answer is to impact purchase intent and generate more revenue. However, while that is often true, it is only one factor. In fact, vouchers should be part of a wider mission to shape the brand, deepen the customer relationship, and drive long-term growth. According to Ewelina, individual promotions are great to appreciate customers for fulfilling specific action, celebrating special occasions or saying sorry. It is important to have a clear goal in mind. Perhaps you want to drive people to the mobile app? Ensure the promotion is only accessible through the app. Maybe you want more traffic from a specific segment or geography? Determine what channels customers typically come to you on and focus the campaign there. However, every promotion should fit the right stage of the customer lifecycle and their level of engagement: avoid promoting a referral program to customers who recently had a negative experience with your brand or just subscribed to your business. To maximise profitability (and avoid coupon fraud), one must monitor and micro-analyse each promotion. Take a holistic approach in considering which marketing channels & customer characteristics to target – for example, a “Free ride” may drive more sign-ups, however, a “50% coupon for the next 3 rides” might convert more users into long-term customers. Personalise and segment promotions, to make sure you cater to the whole customer base – more and more high-value users care about non-monetary incentives. Furthermore, it is important to keep the feeling of exclusivity – customers should only have access to 1-2 promotions at a time. We can all relate to certain retailers who permanently have a sale. If sales are so common, why would customers ever buy at the “full” price? A major learning of Vouchery as they work with new clients is that companies may be running a number of outstanding (but live) promotions that they aren’t aware of or that their promotions are not synchronised across multiple communication channels. Though not every business will have picked up on its value, discounting has become a vital part of a company’s strategy. 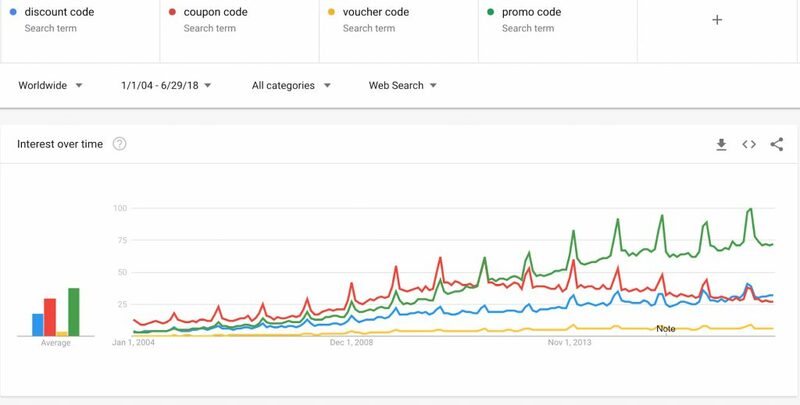 As the chart above shows, consumer demand for vouchers continues to grow, as customers search for “discount code” and “promo code” on Google incrementally year-on-year. Vouchers have become an integral part of any customer engagement programme. It has become necessary to have a clear and coherent strategy on discounting. 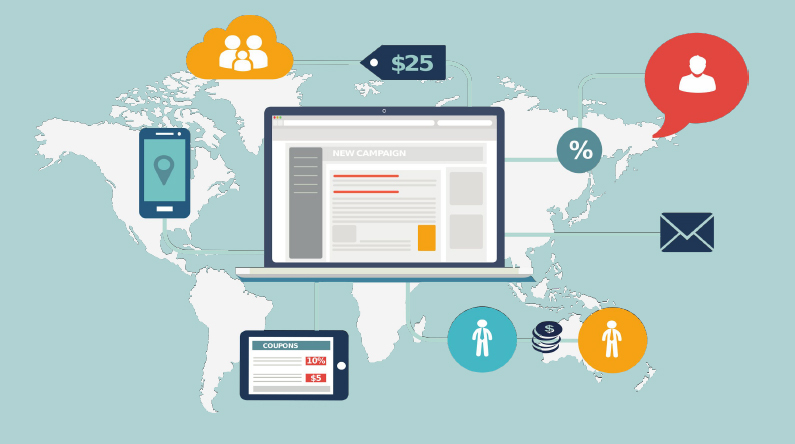 Understanding the when, how and why of your discount campaigns will help you deliver them effectively, ultimately driving growth and customer loyalty for the business.